APERIO Systems solution helps operators and vendors of critical control systems (such as power plants or autonomous vehicles) to enhance their resilience against cyber threats. Unlike traditional solutions, APERIO Systems not only detects attacks, but also pinpoints malicious data manipulation and aected equipment. Passive and non-intrusive, Aperio Systems' solution has minimal operational risks, rapid installation and low maintenance costs. Arquiled develops smart lighting technology for general, architectural, and street lighting with a special focus on energy efficiency. With a strong focus on replacing the current street lighting with lighting using LED, the products have several different applications, such as hotels, museums, casinos and bars all around the world. 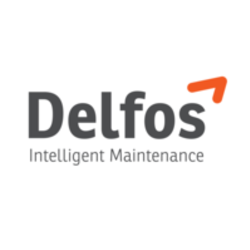 The company is committed to develop intelligent infrastructure management solutions focused on reducing energy consumption minimizing CO2 impact, contributing for sustainable urban clusters. DefinedCrowd developed Neevo, an intelligent data platform for Artificial Intelligence and Machine Learning. The company offers efficient data pipelines to collect, process and enrich training data by combining crowdsourcing, tools and machine learning capabilities to accelerate enterprise machine learning training and modeling. With strong expertise in speech and natural language processing technologies, the DefinedCrowd platform has been serving a great amount of top AI companies and Fortune 500 companies since day one. Drivit has developed a powerful telematic app, with residual battery consumption, that helps companies and drivers assessing driving performance and style. Drivit app is useful for insurers looking to monitor the risk of their clients, companies analyzing the driving behavior of their workers and individuals who want to improve their driving manner and reduce costs. EGG Electronics is a Portuguese Tech Startup betting on making the daily experience of charging electric devices and gadgets a lot more easy and natural. The company has developed EGG PowerStation, an innovative charging dock that allows users to charge up to 15 devices simultaneously and allows for customization with its changeable and customizable covers. Enging developed ePreditMntc®, a completely disruptive and user-friendly web platform dedicated to the continuous monitoring of the condition of electric motors and power transformers. ePreditMntc®, relies solely on the analysis of electrical variables and allows for an extremely precocious and accurate online fault detection allowing customers to effectively manage the performance and anticipate failures in critical assets. 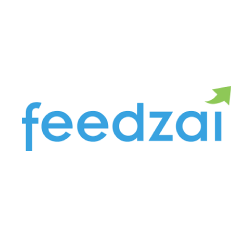 Feedzai is AI, coding the future of payments with today's most advanced risk management platform powered by big data and artificial intelligence. Founded and developed by data scientists and aerospace engineers, Feedzai has the mission to make banking and commerce safe. The world's largest retail banks, merchants and acquirers use Feedzai's machine learning technology to manage risks associated with payments. 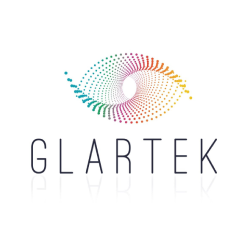 Glartek developed Glarevision a maintenance and monitoring platform for industrial assets, that trough the usage of augmented reality and cloud analytics supports plant managers and maintenance operators in working more efficiently. GreenEagle Solutions currently strives to fill the quality and value gap in the renewable energy sector. The company is committed to reducing its clients' current SCADA maintenance costs by 30% while providing clear improvements compared to former maintenance systems. 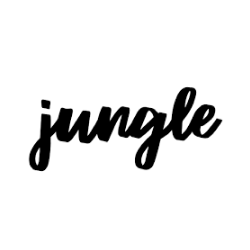 Jungle.ai is on a mission to remove uncertainty. Uncertainty is synonymous with waste of valuable resources, such as materials, money, and time. The company builds software to look into the future and help customers accurately know what will happen next, allowing for better decisions. It can be applied in several different use cases such as wind turbines, power transformers or heavy industry machinery. LOQR Unified Identity Management Platform provides a single integrated and centralized solution to provide identity verification, identity engagement including risk based strong adaptive authentication and identity provider, through a single trusted identity that can be used by a unique person on all services to which is entitled inside one organization. Using this approach we provide a centralized customer centric mobile first one-stop-shop to manage the complete life-cycle of a digital identity always in accordance with the best privacy and security standards and compliance needs. Our solutions are adapted for each market and we currently operate in Europe and Asia. Principle Power develops technology focused on the deep-water (greater than 40m) offshore wind energy market. Principle Power's floating wind turbine foundation called WindFloat, provides for siting of offshore wind turbines independent of water depth.The WindFloat circumvent historical barriers with an innovative and economic approach. Presenso provides an AI Driven Industrial Intelligence solution. The Presenso solution uses advanced Artificial Intelligence to provide real-time asset failure predictions based on monitoring sensors’ signal data in the cloud. With its proprietary adaptive algorithms, Presenso can analyze sensor behavior, automatically learn how machines behave and use this learning to predict machine failures before they occur. Pro-Drone was born to revolutionize how wind turbines are inspected by bringing them into the 21st century. Pro-Drone captures, stores and analyzes assets' data. By embracing automation and customizing the control of the UAVs Pro-Drone is paving the way for the next generation of inspections. PVComplete is a leader in solar design software that helps visualize energy solutions. 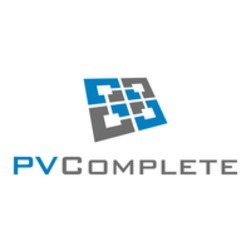 Hundreds of companies, big and small, use PVComplete software to design, configure and permit solar projects. Solar design starts in PVSketch, an intuitive web app built for salespersons to easily create multiple versions for array layouts and energy production models. PVSketch designs can be exported to PVCAD, the first and only CAD for solar engineers and designers, built on Autodesk technology. Sepio Systems develops a software suite that identifies and blocks malicious hardware devices. The company's solution provides discovery, tracking and automatic blocking security against ghost devices, real time threat level dashboard, global red alerts, and complete SIEM integration services. SOLshare has created a revolutionary new approach to bring affordable solar electricity to everyone in Bangladesh and beyond through its peer-to-peer solar energy trading platform based on distributed ledger technology. 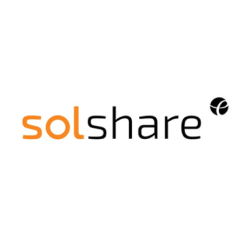 SOLshare pioneers a micro-energy transition model by interconnecting solar home systems in peer-to-peer networks, monetizing excess solar energy along the value chain in real time with mobile money and empowering communities to earn a direct income from the sun. Sterblue builds software that helps drones inspect power lines and wind turbines. Sterblue's software guides drones along trajectories that wrap tightly around infrastructures, photographing every critical detail and automatically finds anomalies in the collected images, producing O&M reports. The whole process is automated and triggered by the click of a button, using off-the-shelf drones. 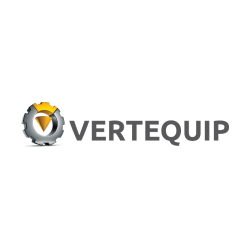 Vertequip's mission is to develop simple and effective equipment able to increase safety and productivity on works at heights in industries such as renewable energies, construction and infrastructure maintenance. The company developed S.T.E.P, a unique system that allows workers, including handicapped and amputees to perform works at heights more safely and efficiently. The system uses only one harness, moving workers both horizontally and vertically while controlling everything through a remote control and applicable for any type of structure. 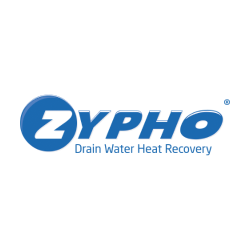 ZYPHO Drain Water Heat Recovery is an innovative and internationally patented solution that represents a compact and highly efficient heat exchanger. Easily installed, it absorbs heat energy from the shower drain water and transfers it to preheat the cold water. Fighting against a major energy waste, ZYPHO will allow its clients to drastically reduce water heating costs up to 30%. By continuing to browse the site, you expressly agree that cookies will be stored on your computer to help measure statistics of visits and improve the quality of the contents offered.